This is the first year that cucumbers grow in the garden. Basically, an experiment to see how cucumbers grow under the garden conditions. They were planted by seed in a 36 square feet raised-bed on May 27, 2018. High late fall temperatures made them grow very fast, and today, June 21st, they are already climbing an improvised trellis. To save on materials we built a wavy trellis with a wire fence. 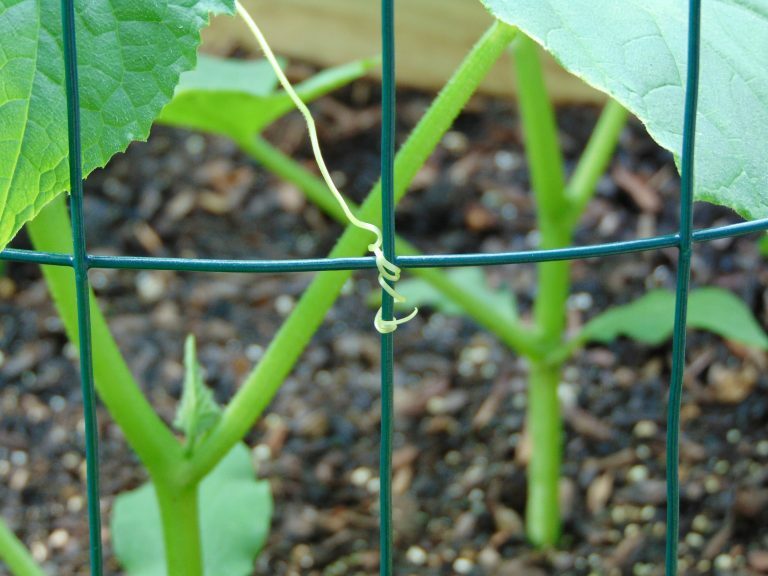 The waves keep the trellis up without the need of long stakes. 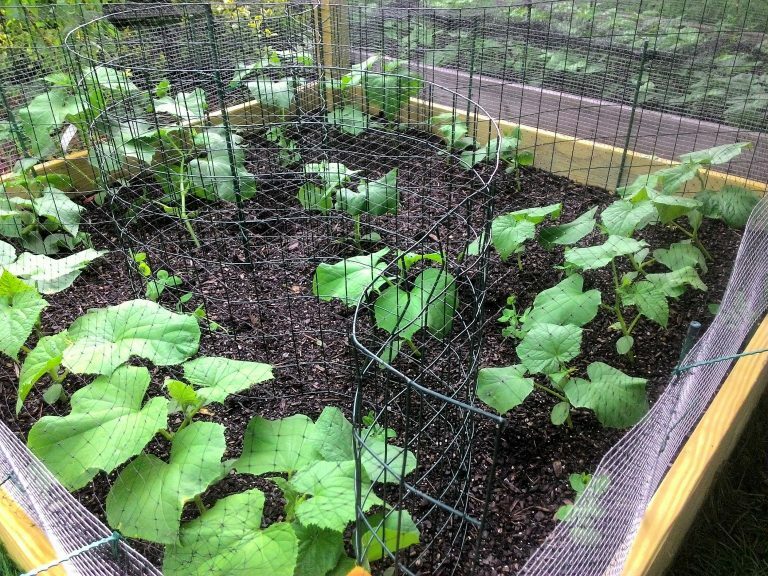 To protect cucumbers from birds and rodents, the bed has been covered with fence and a bird barrier net. The soil is a mix of dirt from the garden's soil, compost, and organic soil from a garden center. The soil was also fertilized before planting the seeds, and recently, during growth. More to come once the plants start flowering. To check other fruits and vegetables growing in our garden, visit our garden inventory.